Conveniently Wed!She’ll be his wife… But at what cost? Billionaire Dante Vittori spent years building his impeccable reputation—no easy feat following his father’s incarceration. 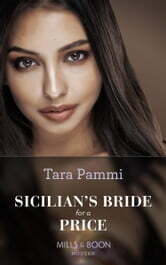 To counter a business threat, ruthless Dante must do the unthinkable—get married! Free-spirited heiress Alisha will do anything to save her mother’s charity—even marry the man she hates. But neither expects the intense heat between them! Suddenly the price of their marriage is more than they bargained for… Get swept away by this intense and emotional marriage of convenience!